Thanks to iTunes, we have a preview for the final issue of IDW's Go-Bots series! The Go-bots series, which is being written and drawn by Tom Scioli, has been a big hit with the fandom as of late, gathering a large amount of support and has been a generally well received comic. Scioli, who penned and drew the recent Transformers vs. G.I. 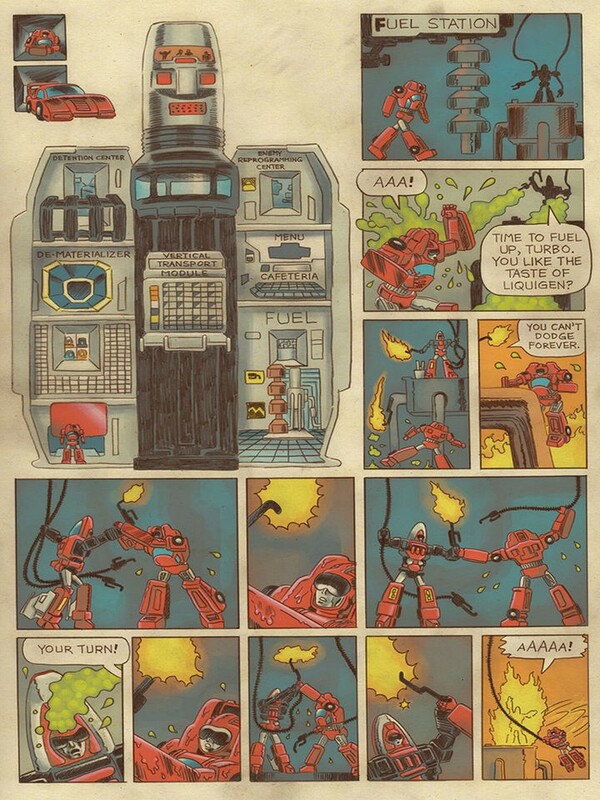 Joe comic, has created a strange new universe that has taken several twists and turns, and has given us a great modern day look at the Go-bots. You can check out the preview below, and keep an eye out as the comic will be due out here shortly! It was an incredible and interesting story! Definitely a ton of fun, and i look forward to grabbing the trade! D-Maximal_Primal wrote: It was an incredible and interesting story! Definitely a ton of fun, and i look forward to grabbing the trade! Absolutely. It far exceeded all my expectations. 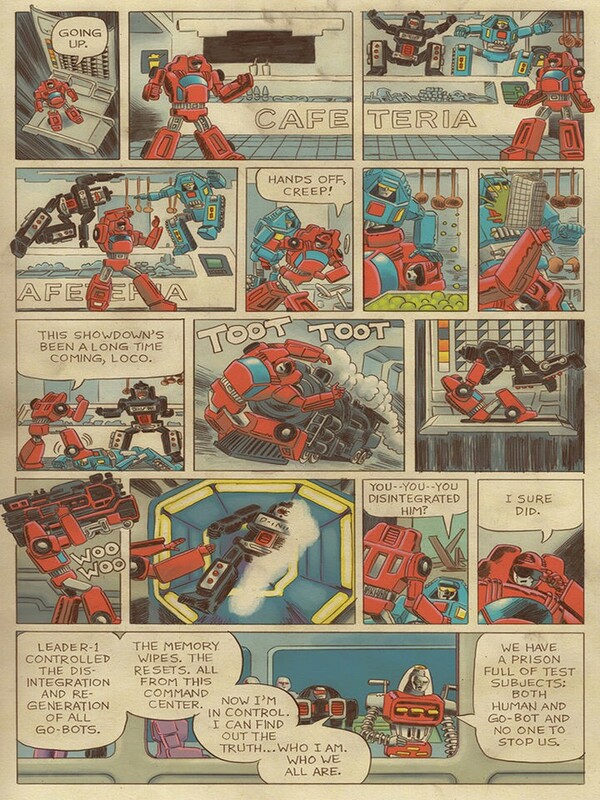 In five issues, Scioli used everything in the Go-Bot toybox. That feat alone certainly put every IDW Transformers writer, post-Furman, to shame, in that respect. 3,901 pages were recently viewed by 526 unique visitors. This page was viewed 1 times on Thursday, April 18th 2019 5:23am CDT. © 2019 Seibertron, Inc. DBA Seibertron.com. All Rights Reserved. Established June 2000. Seibertron.com is owned by Ryan Yzquierdo.